I first set eyes on a Nik Huber guitar in a crowded booth on NAMM’s main floor. Nik had about 15 guitars on display – all of them already sold by noon of the first day! I squeezed in to get a closer look and I can only describe the sensation as love at first sight. 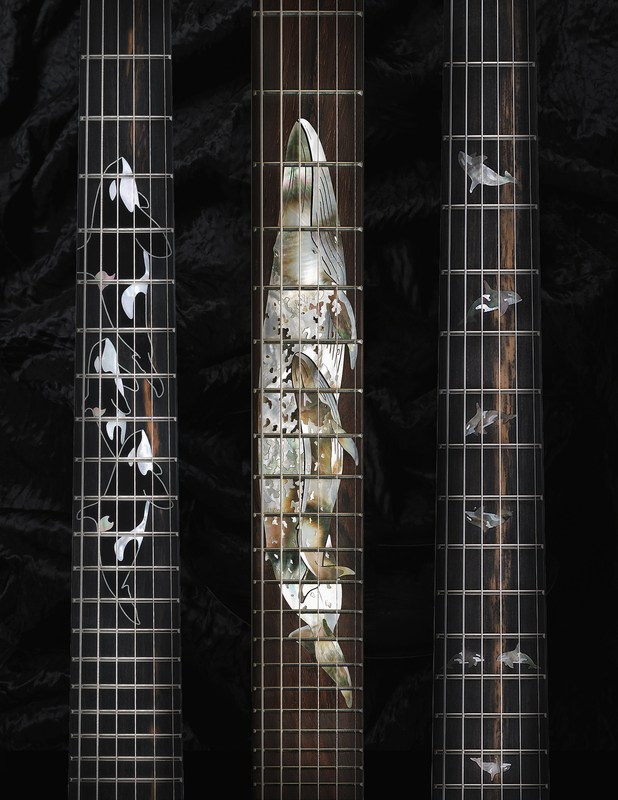 And what a sight…impeccable craftsmanship, elegant choices of woods and finishes, Dolphin and Orca inlays, immensely tasty hardware and Haussel pickups. I hadn’t even held the guitar yet, but already knew I had to have one. But when Nik put one in my hands to play, I knew I had to have all of them. Easier said than done because, even in the early years, Nik’s waiting list ranged anywhere from 1 year to 1 ½ year depending on the model and features requested. That didn’t stop me. I ordered my first immediately, and would go on to order another one every year for the next five years and counting. And I’m not alone! 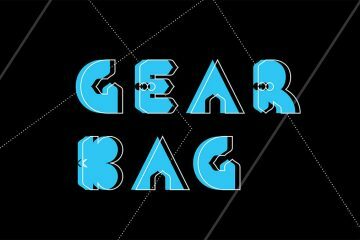 Professional musicians and bands like the Foo Fighters, Queens of the Stone Age, the Hives and many others are also hooked. But I’m also happy to share my prized Nik Huber possessions with friends and consequently, many of them are now proud owners themselves. The only exception to the sharing rule is the Orca Charcoal Burst that I just received a few months ago — that one’s mine and mine alone! I asked Nik to tell our readers a little bit more about himself and the history of the company, in their own words. But before I sign out of this article and turn the stage over to Nik and crew, I leave you with one bit of advice…order yours now! 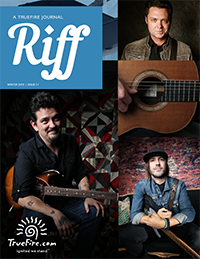 Nik Huber, founder and owner of Nik Huber Guitars, carries on a 100+ year old family tradition. In 1896, a heritage of woodworking expertise was born in Nikolaus Huber, in a small village in Southern Bavaria. 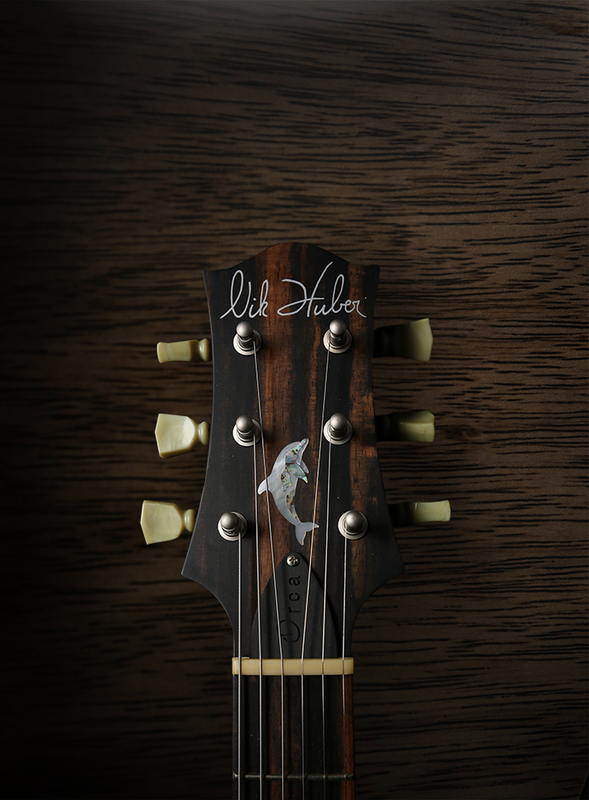 Today Nikolaus Huber IV carries that expertise forward in the form of exquisite guitars. Nik’s father originally built him a guitar because he wasn’t happy with the quality of the guitar he bought for Nik from the store. Nik himself began as a cabinetmaker to qualify himself as an apprenticeship for an architect. But it was only when he discovered a guitar-making school (Formentera Guitars), where he enrolled and within just a few weeks, knew he had found his passion and future. Founded in 1996, Nik Huber Guitars celebrates its 20th anniversary this year. 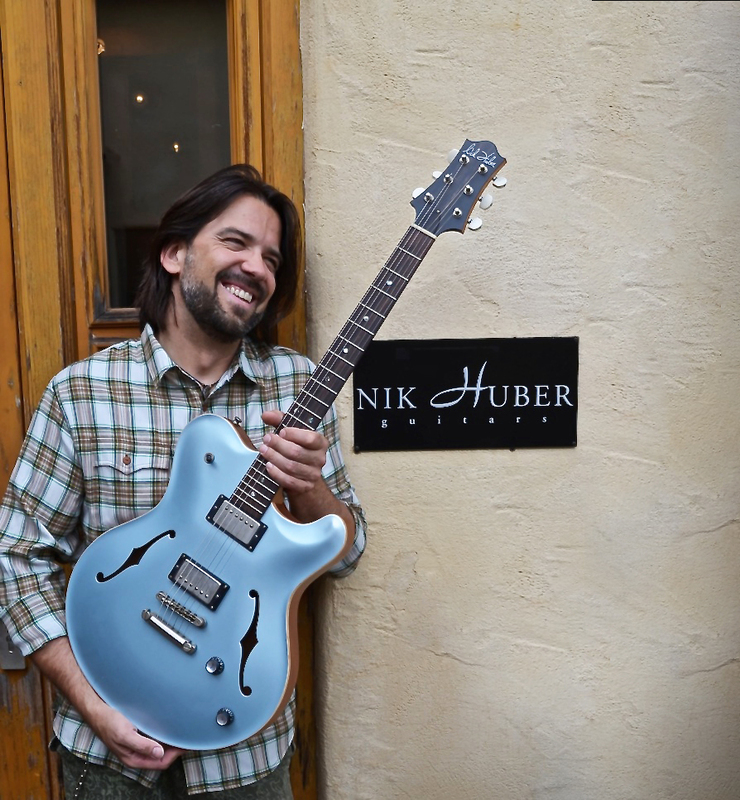 Over the years, Nik Huber Guitars grew to establish itself as one of the leading boutique guitar makers in the world, by attending exhibitions in Europe and North America, and slowly but steadily building his reputation for quality craftsmanship and attention to detail. Currently, Nik and his team of seven highly skilled employees build 250 guitars a year. Nik’s instruments feature perfectly leveled frets, a balanced body and neck weight, superb string separation, great sounding pickups, extremely resonant tone woods and swoon-worthy design and attention to detail. There is a perfect blend between the hand-made artisan quality of the process, as well as the consistency that the incorporation of new technology brings to each instrument. Nik leveraged new technology and started to use the CNC (Computerized Numerical Control) for the first time in 2007. The complex and sophisticated programming is taken care of by one of Nik’s longtime friend, a former Audi and Porsche engineer that became a part of the team. This year, the company’s 20th anniversary will be celebrated with a new limited run of special guitars, that will be presented at NAMM 2017, as well as on the Holy Grail Guitar Show (HGGS) that takes place for the third time in Berlin, starting the 8th of October 2016. What is it about whales and dolphins that inspire you to decorate the neck with this signature element? My wife Ingrid was a dolphin fanatic for as long as I can remember (and way before I became a guitar maker). We later both got involved in dolphin protection and when I had the chance to see dolphins in the wild, I was as hooked on dolphins as she was. 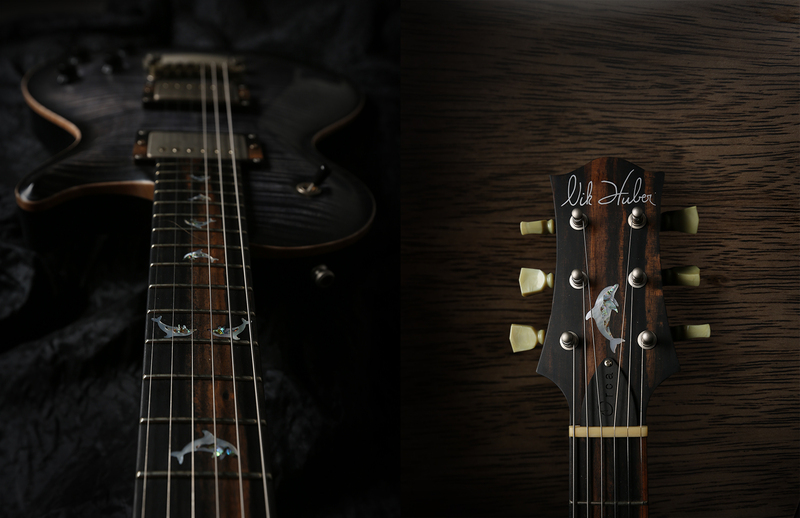 When I needed a logo for my guitars, it was very clear to choose dolphin imagery. The Orca came later (late 1997/ 1998) when we introduced our Orca Model. I always liked the classic designs in the guitar world – the first electric that I built in 1993 was a LP. I had never intended to reinvent electric guitar design (I think only a very few guitar makers like Ulrich Teuffel or Claudio Pagelli made a good job in bringing on new shapes). When I started working on a plan to make a living at guitar building (and back then repairing too), I decided to work on my own guitar shape that did not stray from a classic design. It took me quite a while to draw with the dolphin shape, which I first built in 1995. My father and grandfather were very good craftsmen and painters. It seems that I have some of these skills in my blood 😉 I did draw and paint a lot as a kid. What is a CNC and how has that changed how instruments are built and how the craft evolves? A CNC (Computerized Numerical Control) is a routing machine. I have done hundreds of guitars by hand resulting in very tired hands and bloody thumbs from the hand carving and performing the same steps over and over. The biggest reason to use CNC is to obtain consistency and most importantly, accuracy. CNC does not build the guitars at all, but it does free us to perform more important tasks in the building process. Why hand-chisel a pickup or electric cavity when there are hand routers that can do the job faster and more accurately? Now we are able to reproduce very accurate neck carves and arched top shapes. We’re making 250 guitars a year (still small, but bigger than I ever thought) and the CNC technique was definitely helpful in getting to this point. But the real key to our success has been building a team of highly skilled, passionate employees.